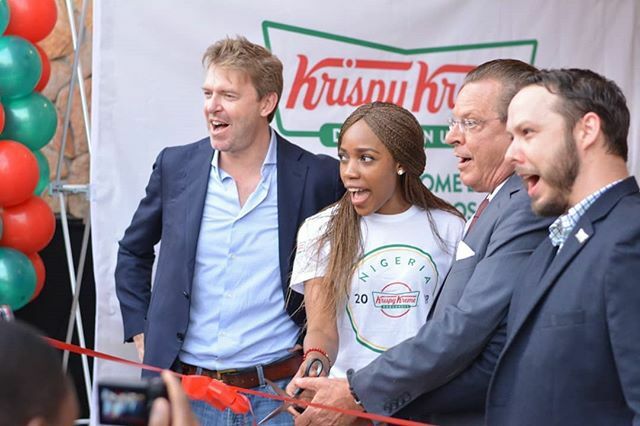 U.S.-based Food and Beverage firm Krispy Kreme has opened its first store in Nigeria at the Ikeja City Mall in Lagos, in what marks as the start of an expansion plan across the country. The company said it has signed a development agreement with Quality Foods Africa (QFA) to open 20 Krispy Kreme stores across the country in the next five years. 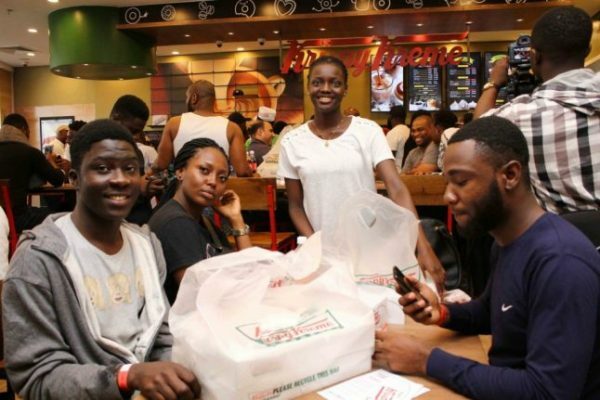 Krispy Kreme noted it has invested $7 million in its Nigerian operation and will be offering consumers 16 different varieties of doughnuts as well as Nigerian blended coffee. The entry into the Nigerian market is expected to employ at least 200 people with new outlets expected to open over the next coming months. In a media briefing, a non-executive director of Krispy Kreme, Alexander Trotter, explained that the investment in Nigeria is expected to bring dynamism to the country’s food sector through offerings that differentiate the brand from others. “We are thrilled to be expanding into Nigeria, and we are looking at other cuisines over the next few years. Our expansion into Nigeria is informed by the potential in the domestic market and the need to do something rare”, Trotter added. Krispy Kreme’s Director, International Franchise Operations, Anson Markle told journalists that Krispy Kreme’s presence in Nigeria will make it the 34th country where the firm has established its presence, adding that the open production strategy is expected to reinforce the firm’s commitment to consumers in the area of quality and high standards. Speaking on its raw materials sourcing, Markle said that while the coffee is locally sourced, its materials for doughnuts were sourced internationally to retain the standards and recipe enjoyed across its stores. “We have planned for fluctuations that may arise with the exchange rate and also ensured that our offerings meet the best standards and cater to different market segments at an affordable price. “As with most sweet treats, Krispy Kreme doughnuts should be enjoyed as part of a balanced diet. We take pride in the quality and nutritional value of our ingredients. For example, Krispy Kreme uses a shortening blend that has zero grams of trans fat per serving. Our doughnuts are produced according to strict quality standards on site in our shop – and our customers can experience our Doughnut Theater”, Markle explained further. Markle further said that the firm has invested in the best quality equipment and presently putting its 200 Nigerian employees through extensive training to ensure the customer experience is world class. Krispy Kreme was acquired by JAB Beech, part of a Holding Company owned by the Reimann family of Germany for $1.35bn in 2017 following a series of acquisitions made by the the group in the coffee sector. The doughnut-maker made its first African debut in South Africa in 2015, hoping to tap into consumer demand for popular US food brands such as Pizza Hut, Domino’s Pizza and Starbucks. Its move was quickly followed by rival Dunkin’ Donuts in 2016.